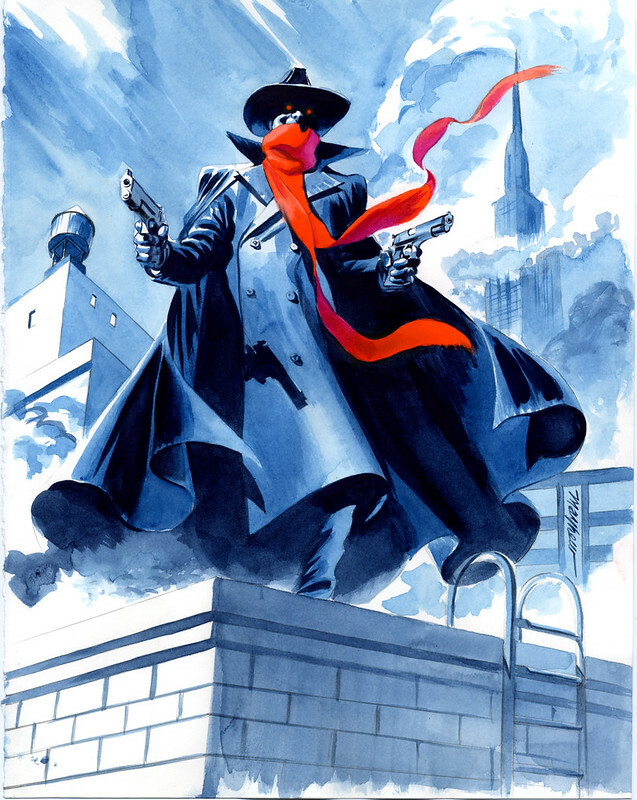 Mike Mayhew captures The Shadow perfectly in this great painting--love the angle looking up and his red eyes. Check out his deviantART page here! Nuff Said.